This study reported that runners had roughly half the incidence of knee osteoarthritis as walkers. "Recreational running at any time in life does not appear detrimental, and may be protective in regards to developing knee osteoarthritis”, the researchers concluded. So why is there such a deep rooted belief that running causes knee arthritis? Maybe it's the runners with a poor foundation (poor flexibility, core strength, hip strength) that give running a bad rap and find their knees getting overloaded. But it is clear now that the biggest risk factor for developing knee arthritis is being overweight and having a high BMI. Being inactive and over-weight poses a much greater risk of developing knee arthritis, than if you keep fit (especially with running) and maintain a healthy body weight. Having accurate beliefs is so important, and understanding that running plays an important protecting role against arthritis forms an important part of keeping your joints healthy. For runners who have experienced some joint pain, it’s about building a solid foundation of muscle strength and capacity to offload the joints. Want to learn about about how to build your foundation for running? Completing a personalised exercise program is a critical part of getting the best outcome from your Physiotherapy treatment program. At your Initial Assessment, we perform a thorough movement screening, and thoughtfully design a program to help you re-build your foundation and address the underlying root cause of your symptoms. Ideally, you’ll find the exercises fun, interesting, challenging (and possibly even enjoyable). The best results will involve us collaborating together to add / modify the exercises as we go. With your feedback, we'll be able to fine-tune them so you are getting the most positive impact and making real progress towards your goal. Think about the types of activities that you want to be able to do again, pain-free. Tell yourself, every set of exercises you do are getting you one step closer to reaching your goal. 'The journey of a thousand miles begins with one step'. Perhaps you could tie the exercises onto an already established daily routine such as after brushing your teeth, or straight after a walk/run). Using the in-built reminder in the app can also really help. We don't expect you to be 100% compliant with these exercises every day, (but we'll be incredibly impressed if you do!). We've heard every excuse in the book about why you couldn't complete your exercises, so no need to aim for perfection, we all have days where other priorities must take precedence. But remember that your health is important. 'Those who think they have no time for exercise will sooner or later have to find time for illness'. Please let us know if you have any questions or concerns to help make your journey a good one. Knee Osteoarthritis (OA) Part 2 - What Is The Best Type Of Exercise? This months blog has a focus on exercise for knee osteo-arthritis (OA), an issue that I’ve had a passion for treating for many years. It’s predicted that arthritis will soon impact over 3 million Australians. Thankfully, there has been some very positive research showing the benefits of combining a tailored Physiotherapy program with an exercise program to build your bodies capacity, with significant benefits in the short term (six weeks) and long-term (one year). 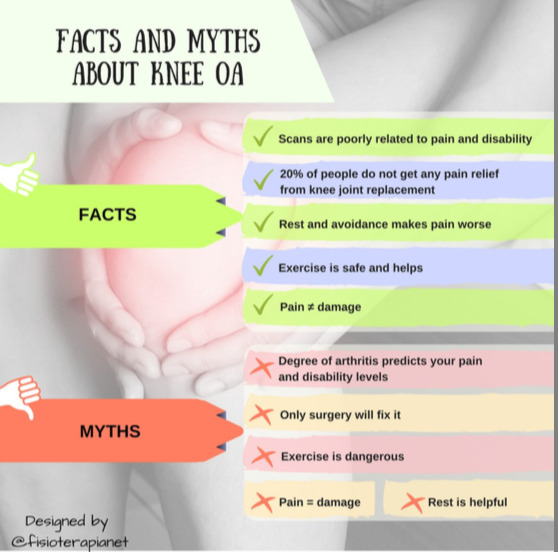 I hope you will find some useful information and if you know anyone suffering with knee pain from OA, it would be great if you could please share it with them. Current guidelines recommend exercise for everyone with knee osteoarthritis, irrespective of radiographic disease severity. Evidence shows a personalised exercise program, gives the best long term outcomes. Ideally this exercise program is set up by a Physiotherapist after a comprehensive assessment. Is exercise and movement safe for people with knee OA? It is a common misconception that exercise causes arthritis. An important point to make here is that (except for traumatic injury) all of these factors are modifiable, meaning we have control over them. This can be quite an empowering feeling, when you contrast this with someone who is told by a specialist, after viewing their scans, that nothing can be done, apart from surgery. The risk of pain and injury are greatest when your physical capacity is low, as it sets you up for constant overload and damage. It's important to note that regular moderate exercise strengthens joints and can decrease the risk of osteoarthritis. Moderate activity levels provide the ‘sweet spot’ for physical health and acts like a vaccine against injury. “One of the biggest problems we have to address is that many people are told to rest when they have pain, rather than stay active. As a result they often become quite sedentary, which can lead to depression, weight gain and an increased risk of other chronic diseases. What is the point in doing exercise and rehab if I’m eventually going to need surgery? The first thing to keep in mind is that not everyone with OA will progress to a point where they need a joint replacement. In fact only about 30% in those are diagnosed with OA subsequently go onto require a total knee replacement. As you start to move more, you most likely feel some knee pain. It's critical though you understand one key fact: "Pain does not equal tissue damage". The truth is pain is related to the threat of tissue damage, not actual tissue damage. There is a whole field of pain neuroscience research now showing that the pain you feel is not correlated with how much tissue damage there is. This is relevant to know for people with knee OA, as many people have severe joint degeneration on x-rays, yet have absolutely no pain. Rather pain is a 'request for change' and in chronic knee pain may be more related to ongoing weakness and stiffness in the knee. A sure sign that movement is needed to get the muscles stronger and protect the knee joint. It’s OK for exercise to be painful (especially as you warm-up at the beginning), but try and keep it to an acceptable level (e.g. < 5/10). Also, monitor the response in the following 24 hours after you exercise. As you build your capacity over time, you will get less intense and frequent pain flare-ups. One important risk factor that can lead to progression of knee OA is the mis-alignment of your knee (in particular the kneecap). Many people with knee pain who get motivated to exercise may end of causing a flare-up if there knee is out of alignment. pain aggravated by sitting for prolonged periods e.g. driving or sitting in a movie theatre (eg, jumping, hopping, running, going up or down stairs, or squatting). A number of factors can alter the mechanics of the patellofemoral joint and increase joint stress, leading to OA. This is where an detailed Movement Assessment with an experienced Physiotherapist can really pay dividends. We can quickly see which parts of your body are moving efficiently and which are not and then take the time to out together a customised plan of attack for you and this can have the capacity to not only reduce symptoms but have the potential to slow disease progression. Manual therapy, dry needling, exercise and taping can all greatly assist with re-aligning your knee joint. Pilates can also very beneficial it helping to build the neural pathways for efficient movement. What exactly is aerobic exercise? Aerobic exercise can be defined by light to moderate intensity, and is characterised by our ability to maintain it for a prolonged duration (many minutes to several hours). You should be able to maintain a conversation as you move. We know that your symptoms are likely to flare-up when you get fatigued. It is important to build your cardio-vascular capacity so you can comfortably perform your everyday activities with ease and comfort. When you’re had a flare-up and are in pain, your activity levels tend to drop off. 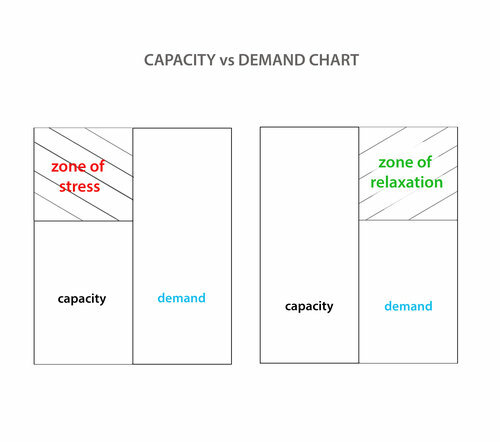 This has in impact on your bodies capacity, and your ability to deal with demand and loads will be temporarily reduced, until you can build it back up again. Pacing yourself with a graded exercise program is the best way to re-build capacity. Monitoring your time, distance and pace can be extremely beneficial with a GPS watch or app in your phone. How much aerobic exercise should I aim for? Current guidelines recommend aerobic exercise be performed ideally on most, and preferably all, days of the week, for a minimum of 30-60 minutes a day. This 30-minute total can be performed in one go, or be made up of 3 x 10-minute sessions, if that’s more convenient for your lifestyle. How do you choose what sort of cardiovascular exercise to do? What do you enjoy doing and what you will commit to? How much time do you have to fit into the day? Do you have any social support that would increase adherence? As you begin an exercise program, you may need to allow a period of 'body tuning' i.e. using manual therapy, massage, dry needling and specific exercises to improve tissue quality and joint alignment. Similar to playing an instrument, tuning up before hand makes things perform much better and reduces the wear and tear. Gradually increasing the amount you walk would be an excellent way to start building your aerobic fitness. Don’t forget to invest in some good quality shoes that are replaced every 3-6 months, depending on how active you are. While cycling can be good for the health of the knee joint, unfortunately it can contribute to muscle imbalances. Specifically cycling inhibits the glutes and makes the hip flexors and hamstrings tighten up. This can have consequences when walking and standing for long periods, as the knee joint is likely to experience increased load and strain. If you really enjoy cycling, that’s cool, but you may need to spend some extra time working on correcting your muscle imbalances. For many years it was thought running ‘caused bad knees’ and it was best to avoid if you have knee pain. However, much research has come out recently with some surprising findings - runners are at a reduced risk of developing knee arthritis. The exact mechanisms for this are still unclear, but may be related to runners maintaining a healthier weight level, with stronger muscles and more resilient joints. BENEFITS OF RECREATIONAL RUNNING - Recreational running is not only good for your overall health, but also benefits your knees and hips—just 3.5% of these runners develop hip or knee arthritis. 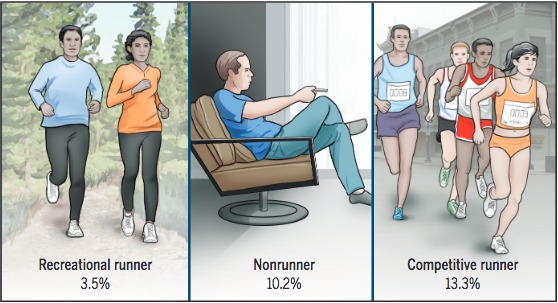 A sedentary lifestyle—not running—or competing as an elite runner increases the risk of hip or knee arthritis by 10.2% and 13.3%, respectively. Bottom line: there are certain strategies for helping offload the knee when running (such as increasing your cadence 5-10%) to keep you from aggravating your knee pain. Please contact us to find out more. Getting in the water regularly would be one of the best things you could do for knee OA. The buoyancy of the water helps decompress the joints and allows you to move freely with minimal pain. Swimming, water aerobics or even just walking in the water can be very healing for the knee joints. Just ensure you are still getting enough weight bearing exercise to stimulate your muscle and bone growth. National guidelines recommend x 2 strengthening sessions per week. This doesn’t mean you you need to necessarily go to the gym, (but it may be helpful if you have a small weights at home) to gradually progress your strength capacity. Your Physio will be able to guide and progress your strength program. Major muscle groups that should be targeted include the quads, glutes, hamstrings and calves. If your symptoms persist for more than a few days, make an appointment to see your Physio. How can a Physiotherapist assist someone with knee OA? A modest investment in a Physio Assessment early on in your journey pays big dividends in terms of identifying relevant contributing factors and helping you get on the fast track to healing. We spend a lot of time in the beginning educating you so you know what to expect in terms of recovery and what you need to do, to manage your recovery successfully. Often 4-6 sessions of manual therapy will help minimize pain, re-set your tissues and get you into a position where you can confidently self-manage. Foam rolling and spiky ball massage are effective at maintaining flexibility, but dry needling has the ability to get to the deeper part of the muscle and get a more effective release. Find out more about dry needling here. We can also show you how to tape your knee to provide relief in the short-term. We will give you advice on how to gradually re-load your tissues to safely protect your knee from future flare-ups. We work with your coach or trainer to manage your return to doing what you love. You are the most important part of the healing process and what you do is the most important part getting you better. We use the convenient Physitrack App to build your personalised home program with videos delivered to your smart phone. Once your pain is under control we then watch how you move and optimise your movement patterning to decrease the chances of the knee pain returning. Pilates can be a very effective way to maintain efficient movement patterns. Is Knee Pain or Injury keeping you from being as active and healthy as you want? I hope this post has given you some valuable guidance in planning your exercise to help your knee. It is very general information, so please consult your Physiotherapist for advice specific for you. There is a lot of positive research now that shows taking a proactive approach to your health can have a very successful outcome for your knee pain. If you have knee issues and like some more personalised guidance, it would be a pleasure to help you (we can help in person or via our online tele-health portal). Please take a moment to fill out the form below and we’ll get back to you as soon as possible. 1. Do you think exercise is a beneficial intervention for knee OA patients. If so why? Yes exercise is very beneficial for knee OA. 2. How often do you prescribe exercises for knee OA patients? 3. What are the most effective exercises for your pt groups. 4. Do you often see changes in patient function and pain after an exercises prescription? If so what sort of changes do you often observe? 5. How many days a week should OA patients exercise? 7. How many times a week do you often prescribe such exercises? 8. What sorts of lower limb exercises do you prescribe patients with knee OA and why? We hate spam too. Unsubscribe anytime with one simple click. Thank you for signing up and welcome to our community! Please check your email to complete the sign up process to immediately download your free e-book. May 22, 2018 Is Cycling Good For A Runner? Oct 31, 2018 Knee Osteoarthritis (OA) Part 2 - What Is The Best Type Of Exercise?